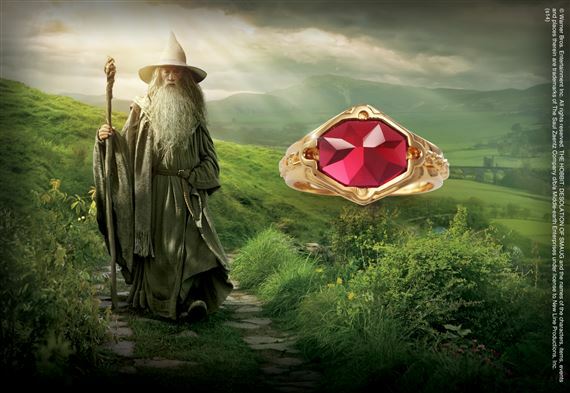 The ring of Gandalf™ is crafted in Sterling Silver and is gold plated. It is set with a faceted crystal. Comes complete with a rich wooden collector's box. Size 6-14 (full sizes only).